So you’ve made the right decision by upping your fan game and buying some Game Bibs. Congratulations! The last thing you want is a pair that doesn’t fit properly, so we wanted to give you a few tips on how to size bib overalls properly. Since bib overalls cover your entire body they do not fit the same as a pair of jeans and there are some sizing factors to keep in mind. First and foremost, your waist size in bibs is going to be bigger. For men, that tends to add 2-6 inches to your current waist size in jeans, especially if your belly hangs over your pant waist. 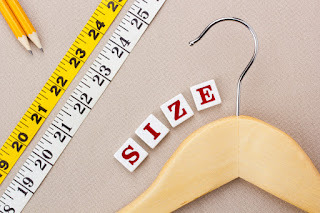 For women, the general rule is to add 23 to the Women’s size. For example, a Women’s Size 8 would convert to a 31” waist size in bib overalls. 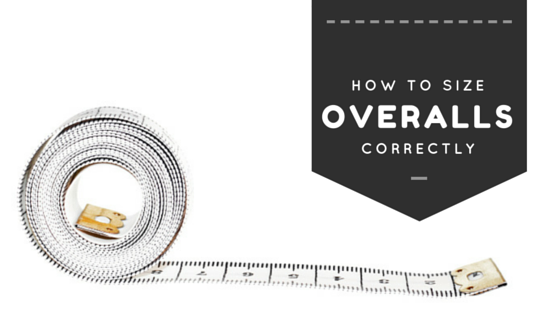 For an accurate measurement, use a tape measure and measure around the natural waist. Take a tape measure and measure under the arms around the fullest part of the bust. While you’re doing this, make sure the tape measure stays level and comfortably loose around your torso. The inseam sizing for Game Bibs runs a little longer which allows us to accommodate more customers. If you’re on the taller side don’t let our inseam discourage you from buying a pair. With the adjustments that can be made at the shoulder straps we’ve fitted customers as tall as 6’8”. If you are on the shorter side the longer inseam can always be tailored and many women actually like to roll up the pant leg of the bibs. You’ll find our detailed bib overalls sizing guide at the top of our website if you need more information about our sizes. If you have any additional questions on properly sizing bib overalls, don’t hesitate to send us a message or give us a call. We want you looking your best on game day! With the annual college basketball tournaments upon us, many viewers and athletes will be exposed to teams they may have never seen before. There will be upsets for small schools and Cinderella runs, and behind each one of those teams will be a fan base we’ve likely not seen before. There are definitely some famous fan bases, though. Think you know college basketball fans? In no particular order, here are five groups of the most intense college basketball fans you’re likely to see in the stands or on the television. Xavier – Regularly overlooked for their mid-major status, Xavier University has always played with a chip on their shoulder. 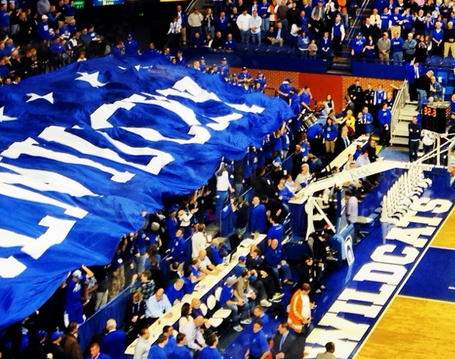 Their fans are no different, packing arenas full of loud and proud blue-and-white clad fans. Look for them to travel well and be a thorn in opponents’ sides this March. We've got a hunch they'll make a deep run as a #2 seed. Kansas – This powerhouse program has been churning out victory after victory for years. 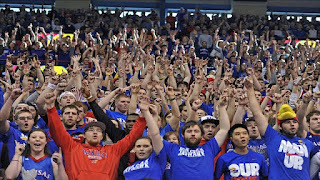 They’ve only lost 107 times at home since 1955, and many people attribute that to their loud, proud fans chanting “Rock Chalk” at the top of their lungs. They swept their regular season and conference tournament titles. What's to stop them and their fans from going all the way? Kentucky – Basketball is life in the Bluegrass State, and their fans show up in droves to support their team in blue. Opposing players have a tough time making free throws facing their raucous student section, and that shouldn’t change on a neutral floor. A tough conference tournament final won't deter these fans from coming out loud and proud to every game. Duke – The Cameron Crazies have been terrorizing opposing teams for decades at Cameron Indoor Stadium with their seats right behind the press tables. 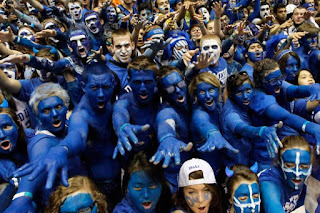 Regularly clad in blue and white of all kinds, (think wigs, body paint and costumes) Duke fans are sure to make their presence known in the tourney. They might have had a rough season, but that just makes them more hungry for the W.
North Carolina – Fans have been pouring into the Dean Smith Center for years to see championship caliber teams play, having a hand in over 2,000 wins and five national titles. The baby blue and white travel well, so look for them in every arena North Carolina plays in this March. They're a heavy favorite to take home the title! 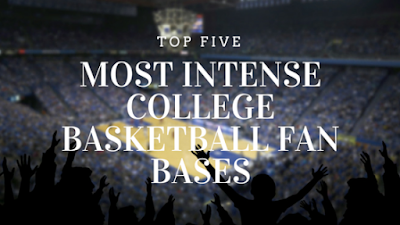 This is by no means the end of the list when it comes to passionate college basketball fans. 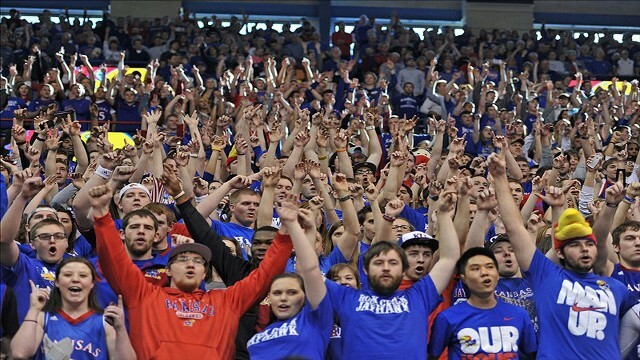 Does your school have the most loyal college hoop fans? Sound off in the comments below and argue your case!